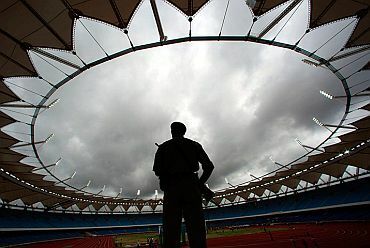 Construction delays, inclement weather, red tape if these were not enough reasons to worry Indian Olympic Association chief Suresh Kalmadi in the run up to the Commonwealth Games, then a possible dengue outbreak in New Delhi is sure to break him down to tears. 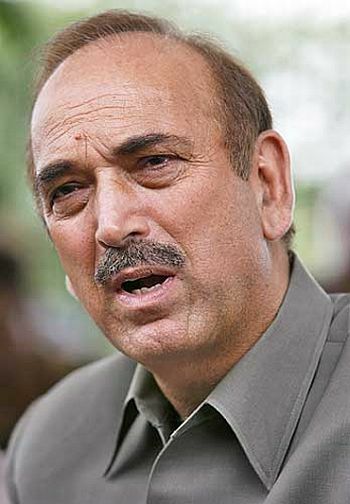 Union Health Minister Gulam Nabi Azad had gone on record last month that due to the construction work at the Commonwealth Games village across the Yamuna bridge and stoppage of the movement of fresh water, the river had become a breeding ground for the dengue fever and had warned that the situation may worsen in days to come. 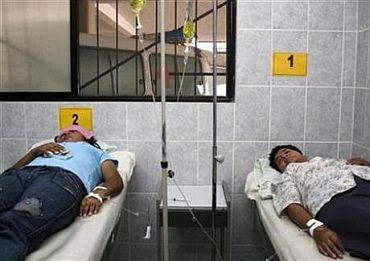 Dengue cases in the national capital have crosses last year's figure of 1,153. The government has said that it would launch a special cleaning drive from September 6 to prevent breeding of mosquitoes even as it assured that the strain prevalent this year was far less lethal. The Delhi government too has started a comprehensive programme throughout the capital to create awareness among people about what could constitute to spreading the virus. "I am from the Delhi Health Department. Please show me the cooler," demanded an officer on routine inspection at a Madhuban Enclave residence near Punjabi Bagh. Finding that the cooler was clean with not a drop of water inside he expressed satisfaction about the good maintenance work. "Please change the water in the bottles outside, as this too can become a breeding ground for dengue virus," he said, before marching on to next house. Faced with international advisories against travelling to India for the Games, the Union Health Ministry is now on a damage control mode. Azad told media persons on Friday that from Monday a massive, coordinated cleaning operation for two days would be launched which would cover all roads, lanes and bylanes. Municipal Corporation of Delhi, New Delhi Municipal Corporation, Central Public Works Department and the Cantonment Board would conduct the operation. He said that the ministry has also asked agencies like Metro and CPWD to close work in areas where construction is over and use insecticides at the sites of under-construction projects. "We have asked the Delhi government to ensure cleanliness in all government hospitals," Azad said, adding that MCD has been asked to form ward-level committees to take responsibility of cleaning up the areas. The Health Minister said he has requested MCD to institute awards for best performing wards in the cleanliness drive. The meeting also arrived at a decision to provide Resident Welfare Associations in all localities with the chemical 'Tamiphos', which can be sprayed to kill mosquitoes and their larvae." "All government buildings, especially multi-storied ones, would be monitored to check for breeding in their water tanks, coolers and other places where water collects," Azad said. MCD and NDMC have also been asked to open call centres where people can call and report any breeding or water logging. 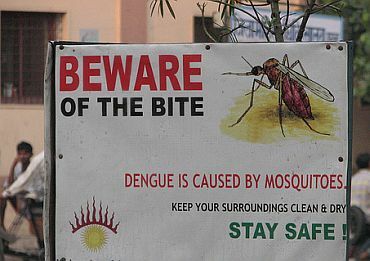 Worried over the spread of dengue in Delhi, over 20 countries have written to the Commonwealth Games Organising Committee seeking information about the situation and measures being adopted to check the disease ahead of the mega sporting event in New Delhi. A total of 24 countries have asked in writing about the dengue status in the city and whether it has become an epidemic or not. They have sought information about the steps being taken to contain the disease, official sources said. 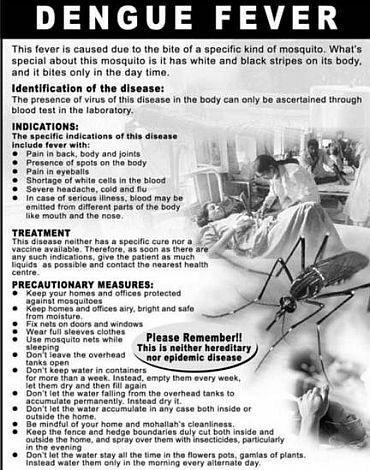 They said as a large number of dengue cases are being reported in the city this year and mosquito breeding has been detected in many Games sites, the countries want to know about the preparedness for controlling the disease ahead of the sporting extravaganza. The city has reported over 1,000 cases of dengue this year till now and already more than Rs 11 crore has been spent to control it. "The government will release more funds, say over another Rs 10 crore for containing the disease," the sources said.